The simple and quiet exterior of the "Candy Factory" downplays the central place—physically and historically—that this building occupies in the district. 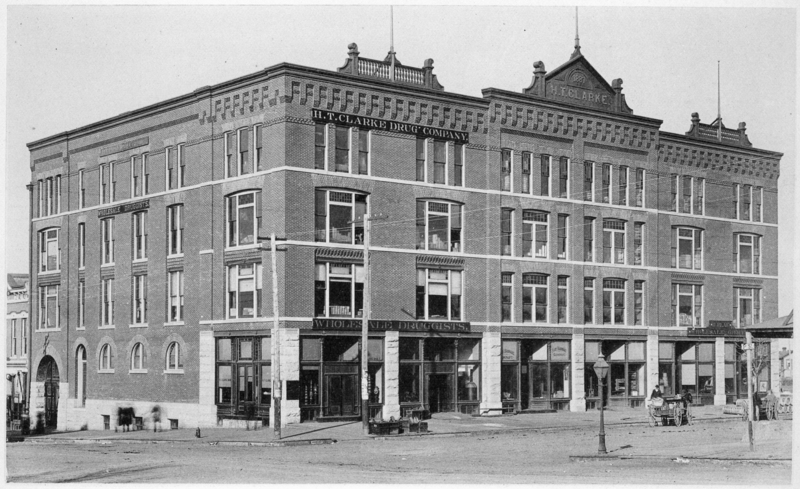 We can trace its roots (or should we say its foundations) to the H. T. Clarke Drug Company Building of 1887. The Clarke Building was an ornate Victorian commercial palace, with a stone-trimmed first floor, varied windows, and decorated cornice. H. P. Lau's wholesale grocery was among the building's tenants. 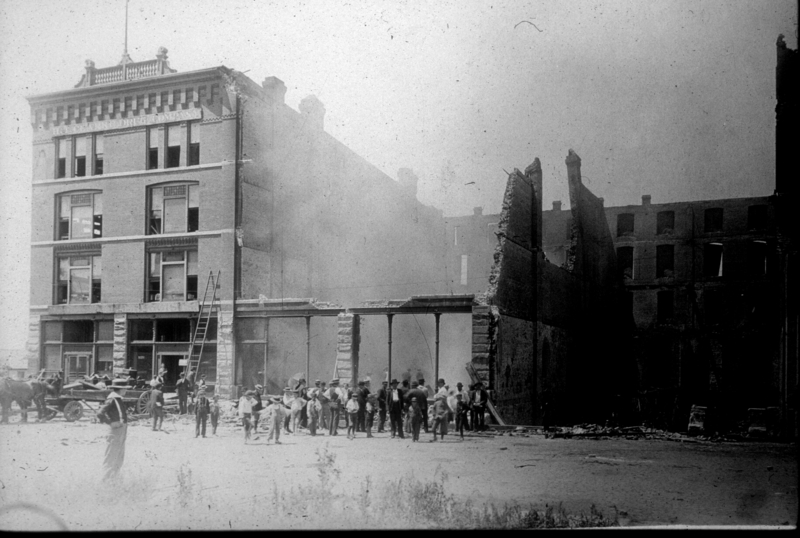 In 1895, the northern two-thirds of the Clarke Building burned to the ground, including Lau's quarters. (See building #34.) 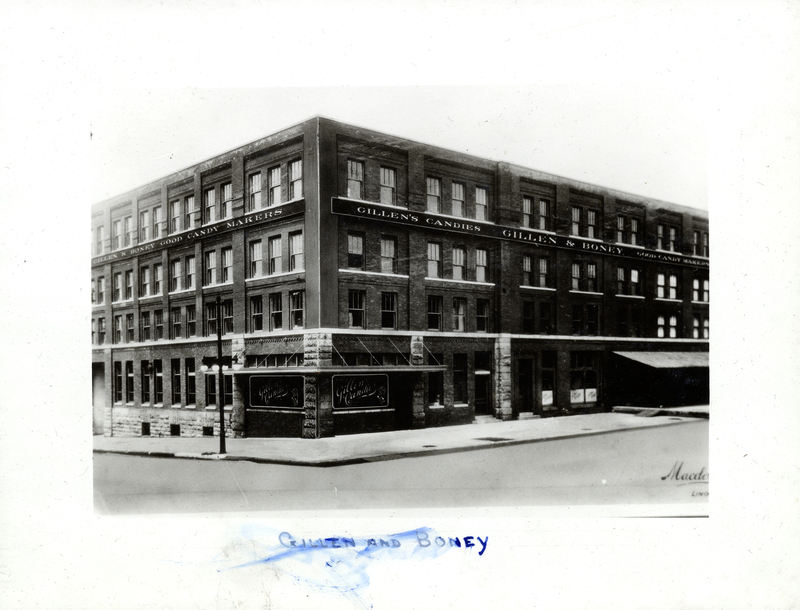 A three-story factory for the Gillen & Boney Candy Company was built on that site in 1906, designed by Alfred W. Woods. In l9l9 Gillen & Boney added a fourth floor to the 1906 factory. Five years later, the last of the old Clarke Building was remodeled for the candy company according to plans by Fiske & Meginnis. They retained some of the old, first-floor stonework including the richly textured stone piers and the stone foundation along P Street, but otherwise matched the exterior of the simpler new building. Note the wide, recessed entrance on P Street, which recalls where a rail spur extended from the north into the building, delivering pharmaceuticals, groceries, and candy-making supplies to a succession of occupants. 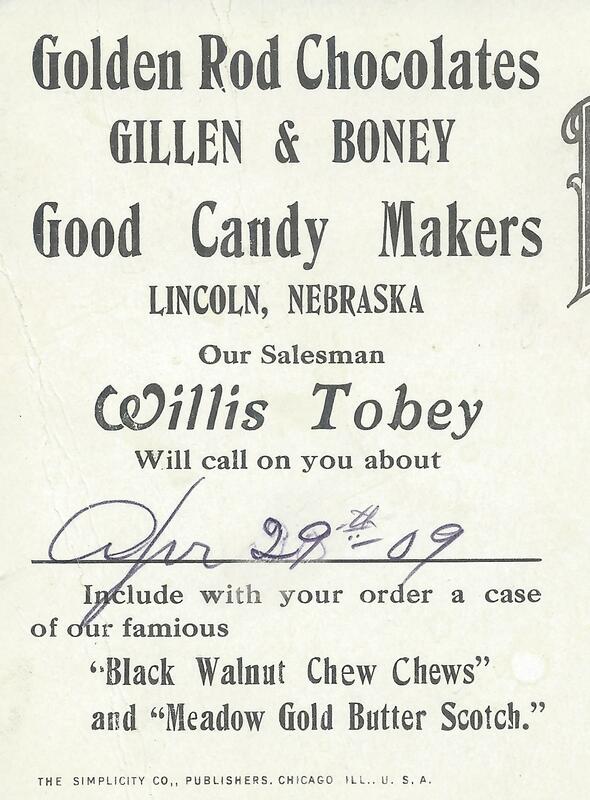 Gillen & Boney--"Good Candy Makers"--were established in 1895 and became one of the largest manufacturers in Lincoln. 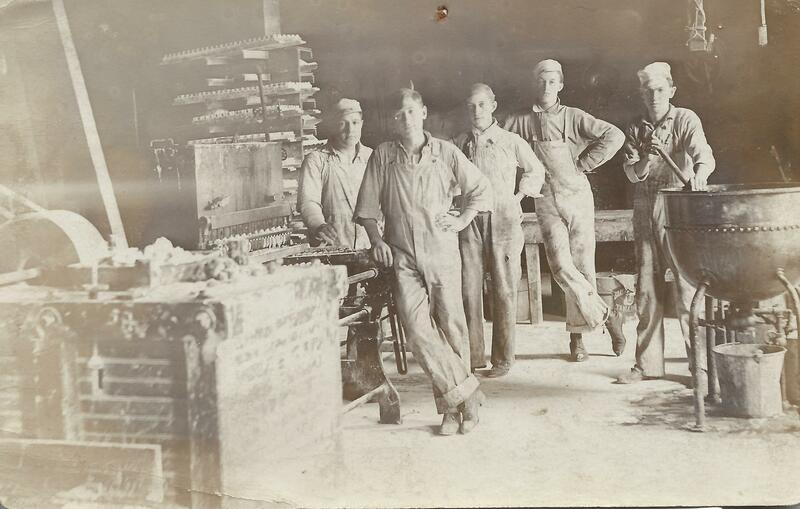 They were capable of producing 35,000 pounds of candy a day. 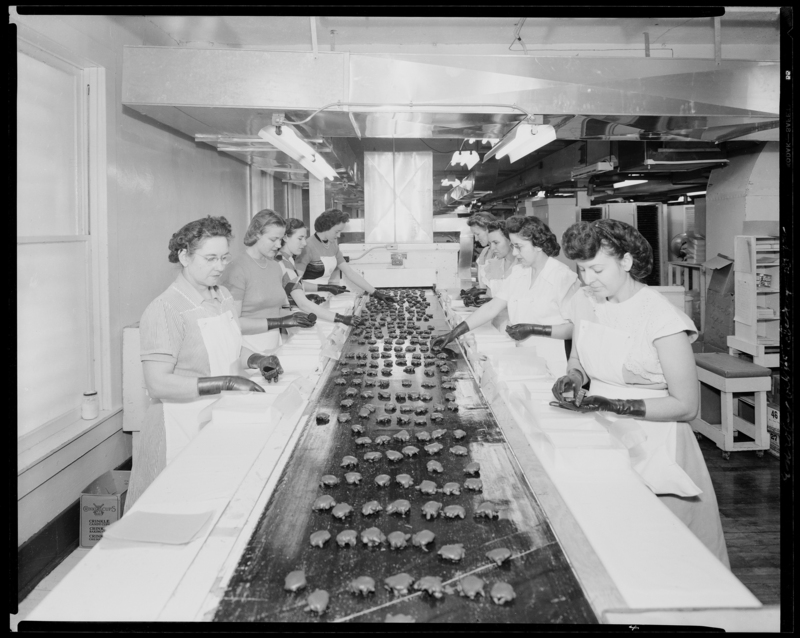 Two company specialties sounded typically Nebraskan: "Golden Rod Chocolates" and "Football Centers." 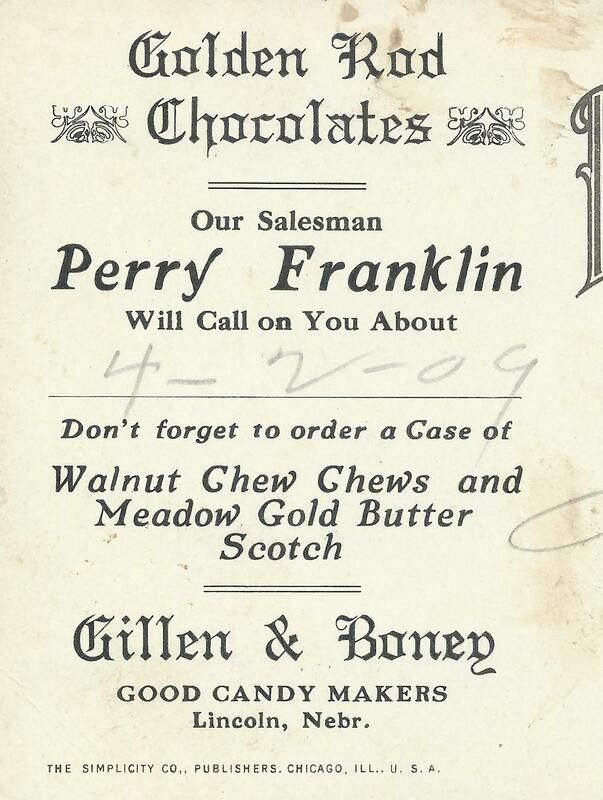 An early advertisement offered "Advice for 1912--Eat Good Candy." 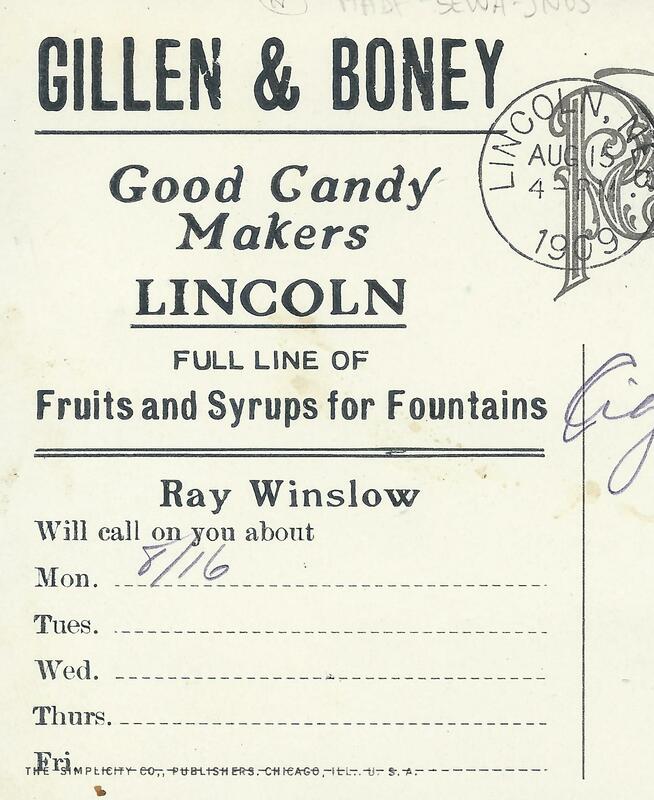 Gillen & Boney had difficulty satisfying customers through World War I due to limited sugar supplies. Furthermore, they and other candy manufacturers were blamed for the sugar shortage. Judging from several advertisements at the end of the war years, Gillen & Boney's disposition may have needed sweetening: "Candy is being accused of being the thief that has robbed the national sugar barrel....The public's verdict should be—not guilty!" World War II brought similar shortages. In 1942 Russell Stover Company, unable to operate on its own sugar allotment, bought up Gillen & Boney and several other candy factories to acquire their sugar allotments. 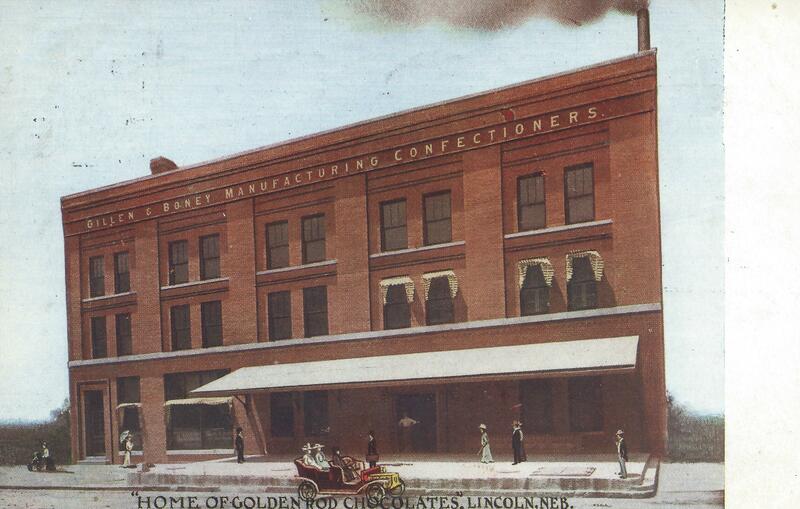 Russell Stover's Lincoln operation became the candy maker's largest, accounting for 45% of its total production. Nine hundred employees produced one million pounds of candy monthly. 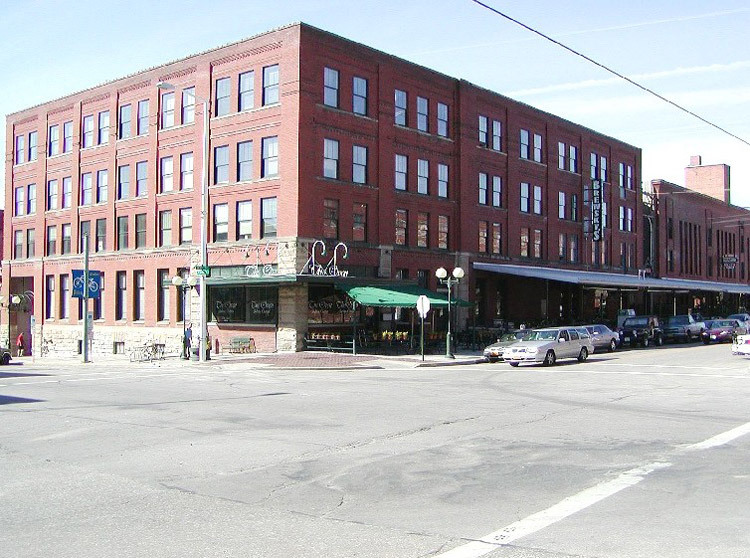 Russell Stover closed its Lincoln plant in 1980 and vacated the seven Haymarket buildings it had occupied. Today's "Candy Factory," designed by Alfieri, Sinclair & Hille, is well worth a visit for its sunny atrium, the south wall of which is the 1887 firewall, scorched by the 1895 fire.